Gauges 09-11-15-24-32-40.Fender's been making strings nearly as long as they've been building guitars, and they've got it down. The Original 150s deliver the warm, full tone found only in pure nickel strings. Fender's been making strings nearly as long as they've been building guitars, and they've got it down. 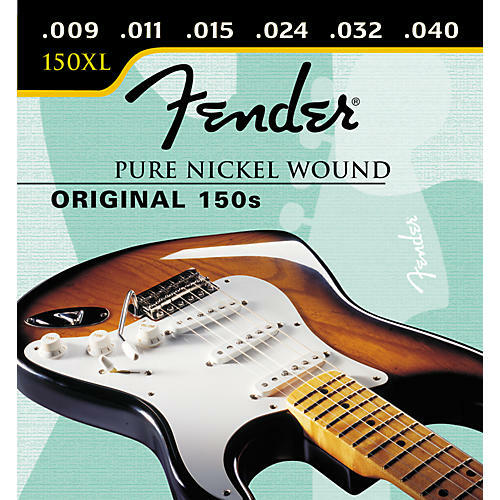 The Original 150s deliver the warm, full tone found only in pure nickel strings.